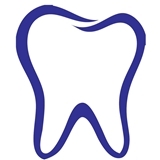 Vista Dental (North Las Vegas) - Book Appointment Online! We are proud to say, at our office, you are not just patients, you become our family members. And we wouldn't like family treated any other way. You are assured the best caring, professional, and gentle treatment from us. Everyone in the clinic was amazing and gave only superb service. Dr. Nhan Truong was very informative and professional.